1. Pick hashtags that people actually use. You want people to search the hashtag and see your tweet. If you pick a hashtag no one uses, this isn’t going to happen. Of course, you can create a new hashtag and convince people to start using it. Coca-Cola did this with #ShareaCoke and a new emoticon. The strategy can work very well, but it’s also the type of campaign that takes a lot of time and energy. To be successful, it’s helpful if you already have a large audience and pair the new hashtag with something that will attract a lot of attention, like a giveaway or a call for fun user photos. If your only goal is to get eyes on an individual tweet, stick to hashtags that are already popular. 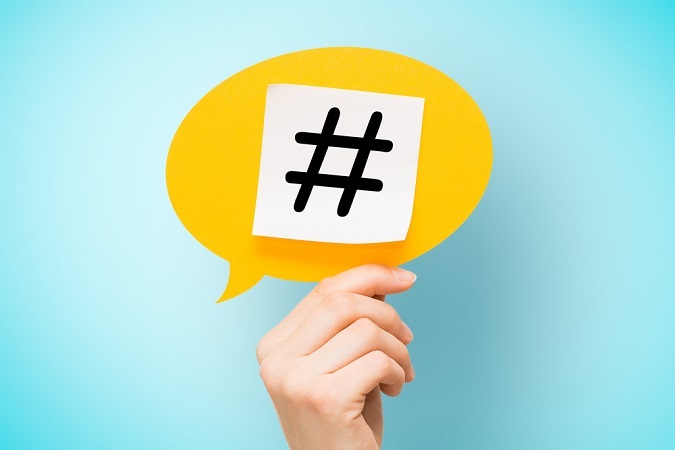 HubSpot put together a list of the 58 hashtags that produce the most user engagement – in the form of likes and retweets – on Twitter. These hashtags are a great place to start. You can also use the site Hashtagify to search for hashtags and see how they rank in terms of popularity. 2. Pay attention to trending hashtags. Another way to find popular hashtags is to see what’s trending. Hashtags can trend for a variety of reasons. Sometimes trending hashtags are tied to current news events. These topics can be politically charged, but some are more lighthearted. When a raccoon climbed a skyscraper in St. Paul, Minnesota, #mprraccoon trended for more than a day while people everywhere watched nervously and then celebrated the raccoon’s safety. Other times, trending hashtags are about holidays – either big ones like #FourthofJuly or small ones like #NationalIceCreamDay. There are also hashtags that trend regularly, like #MondayMotivation and #TuesdayThoughts. 3. Check the meaning of the hashtag. It bears repeating that some hashtags are politically charged. Using these for self-promotion can backfire quickly. This is what happened when DiGiorno used #WhyIStayed to promote its pizza with the tweet “#WhyIStayed You had pizza.” The hashtag was about domestic violence and why victims stay with their abusers, so DiGiorno’s tone deaf tweet did not go over well. Before using a hashtag, make sure you know what it’s about. Sometimes, the serious message behind a hashtag isn’t immediately obvious, but a quick click will show you why people are using it. Although it’s helpful to pay attention to trending hashtags, don’t just use whatever just use whatever happens to be trending. In addition to making sure the hashtag isn’t loaded with serious messages and the politics, you also need to make sure the hashtag is relevant to your brand. Otherwise, your account could be suspended. Twitter’s rules state that using irrelevant hashtags for promotion can result in account suspension. Besides, using irrelevant hashtags is annoying, and you don’t want to irritate your audience. Hashtags are important on Twitter, but you don’t want to use too many at once. Stick to one or two relevant hashtags max. In fact, according to Small Business Trends, a TrackMaven study found that one hashtag per tweet is ideal. After that, engagement starts to go down. Note that other social media sites are different – on Instagram, for example, posts with around nine hashtags tend to do well. Intrigued? Then you should also visit this page on creating compelling social media content.